Your starting point for information and assistance. Get ready to put down your phones, tablets, and remote controls. 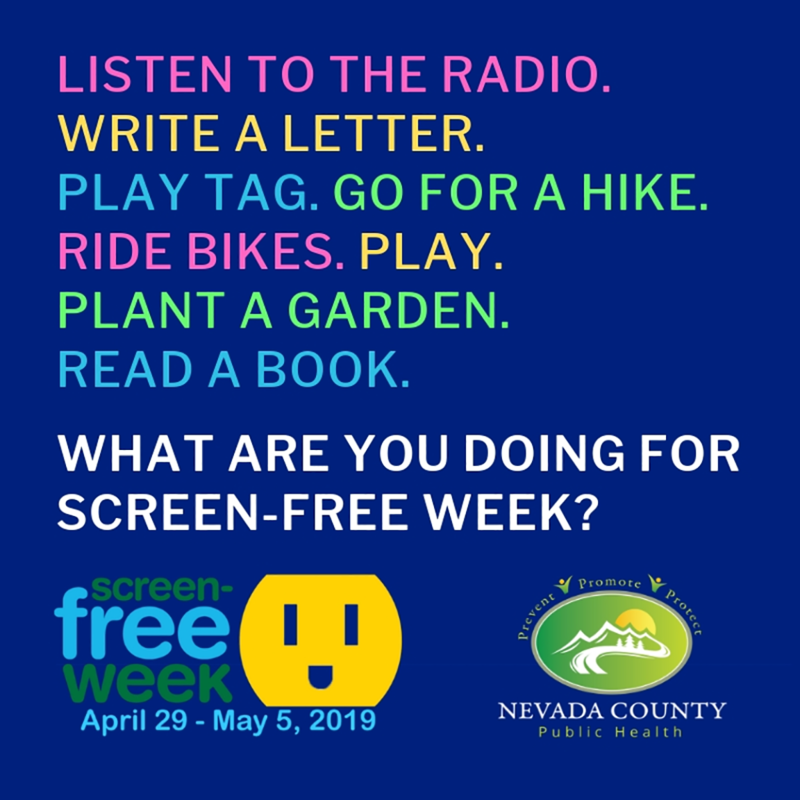 Nevada County Public Health invites you to join your community in celebrating Screen Free Week, April 29th through May 5th. Why Go Screen-Free? We know that kids (and adults!) spend too much time on our devices. Preschool children spend between 2-5 hours a day using electronics. Older kids average 7 hours a day. Adults aren’t immune; we spend about 11 hours a day on screens.